For our appeal does not spring from error or impurity or any attempt to deceive, but just as we have been approved by God to be entrusted with the gospel, so we speak, not to please man, but to please God who tests our hearts (vv. 2:3-4). Many Christians have strong views on eschatology (i.e., the doctrine of future events). Our church's statement of faith says, “We believe in the personal, bodily and glorious return of the Lord Jesus Christ.” That statement allows for a variety of views on the return of Jesus (e.g., when it will happen in relation to other future events). Instead of dividing us, the hope of Jesus’ return should unite us. It’s our “one hope” (Eph. 4:4). 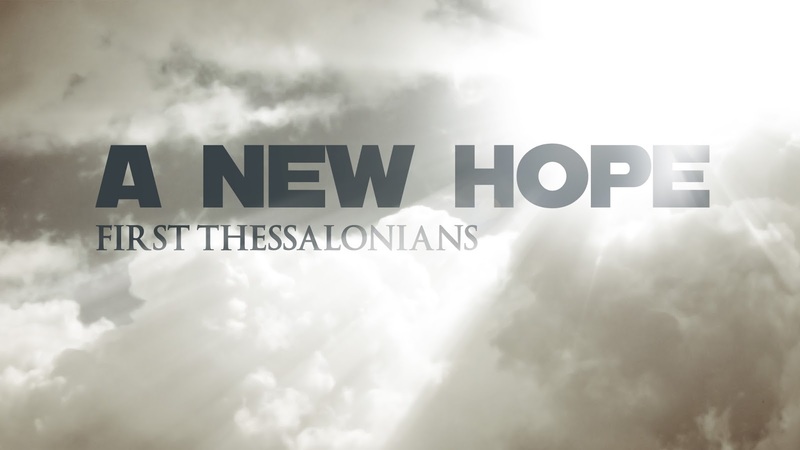 First Thessalonians is a letter written by the apostle Paul (1:1) around A.D. 49 or 50 to Christians living in Thessalonica. The church in Thessalonica began as a result of Paul’s preaching of the gospel (1:4) during his second missionary journey (Acts 17:1-9). When Paul wrote this letter, the Thessalonians were experiencing persecution. Paul mentions that he also knows what it’s like to face persecution. Before arriving in Thessalonica, he had “suffered” and had been “shamefully treated” in Philippi (Acts 16:19-39). Then in Thessalonica, he encountered “conflict” (v. 2). When we face adversity, we need hope. In 1:3, Paul says that the Thessalonians have “steadfastness of hope in our Lord Jesus Christ.” The NIV says, “endurance inspired by hope.” Our hope in Jesus is what us endurance during times of adversity. I read an article this week entitled “13 End Times Errors to Avoid.” Number two on the list was “not preaching the return of Jesus for fear of controversy.”  If a preacher gives in to that fear, he is more concerned with pleasing people than pleasing God. Though the return of Jesus is a doctrine that often causes controversy, it is too important to avoid. The return of Jesus is our hope! How can we avoid it? It’s sort of like a high school not talking about graduation. There aren’t many people who don’t really care about what other people think about them. (Why do you do the things you do?) Sometimes we can do please both God and people at the same time. Sometimes we can’t. Paul writes that whenever he preaches the gospel, he “[speaks], not to please man, but to please God” (v. 4). Paul wasn’t saying that he tried to displease people. “I try to please everyone in everything I do, not seeking my own advantage, but that of many, that they may be saved” (1 Cor. 10:33; cf. 9:19-23). But sometimes it was necessary for Paul to displease some people in order to please God. “Am I now seeking the approval of man, or of God? Or am I trying to please man? If I were still trying to please man, I would not be a servant of Christ” (Gal. 1:10). Are there areas of our lives in which we’re guilty of people pleasing? How would our lives be different if we thought more about pleasing God? Some of the Thessalonian believers might have been thinking or even complaining, “Why did Paul leave us so quickly?” Paul addresses this question in chapters 2 and 3. On the very day when the enemies of the Jews hoped to gain the mastery over them, the reverse occurred (Esth. 9:1). We’ve all experienced the disappointment of someone breaking a promise they had made to us. Thankfully, God doesn’t break his promises. But God is different. When God makes a promise, he’ll keep it. The God who doesn’t lie, doesn’t fail, and doesn’t forget will keep his promises. 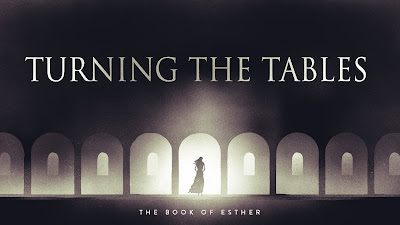 Many years before the story of Esther took place, God promised an elderly man named Abraham that he and his barren wife Sarah would have a son—an outrageous promise! God also promised that Abraham’s descendants would be as numerous as the stars in the sky (Gen. 15:5) and that God would bless them and that they would be a blessing to the nations (Gen. 12:2-3). God wasn’t lying not lie when he gave Abraham those promises. And he wouldn’t fail or forget to keep those promises. Abraham was “fully convinced that God was able to do what he had promised” (Rom. 4:21; cf. Gen. 15:6). In the book of Esther, God kept his promises to Abraham’s descendants through his providence. God plays chess while his enemies play checkers. 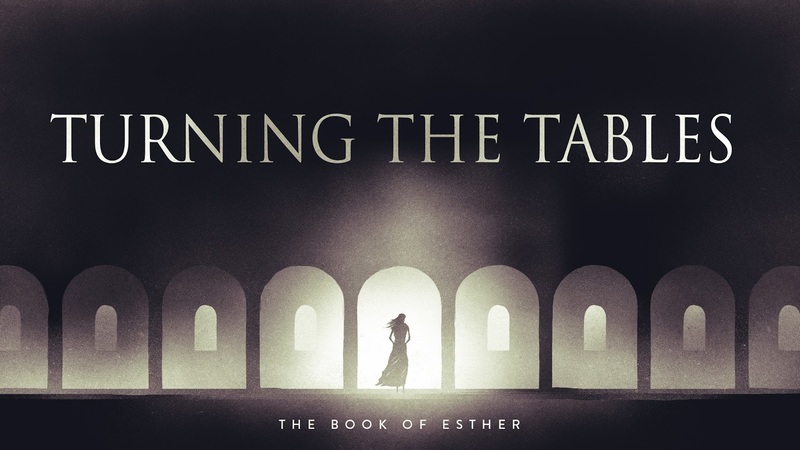 God turned the tables for Esther and her people. “On the very day when the enemies of the Jews hoped to gain the mastery over them, the reverse occurred” (Esth. 9:1). “Their sorrow was turned into joy and their mourning into a day of celebration” (Esth. 9:22, NIV). Jesus came into this world to turn the tables for us. Through faith in him, we can go from being condemned to being saved. Jesus declared, “God did not send his Son into the world to condemn the world, but in order that the world might be saved through him” (John 3:17). There’s one more reason why God will keep the promises he has made to us: he loves us—with a love that seems too good to be true. “He who did not spare his own Son but gave him up for us all, how will he not also with him graciously give us all things?” (Rom. 8:32). If God has already given us his Son, he’ll also give us all the things he has promised us. Karen Jobes writes, “The major theological point of Esther is that throughout history God fulfills his covenant promises through his providence” (Esther, 38). When God promised to bless the nations through the descendants of Abraham, he was thinking of Abraham’s ultimate descendant: Jesus (Gal. 3:16).